With newer and newer additions in the crowded budget segment of smartphones in the market, it’s really tough to opt for one that checks a lot of your wish-list and stands out in the crowd. 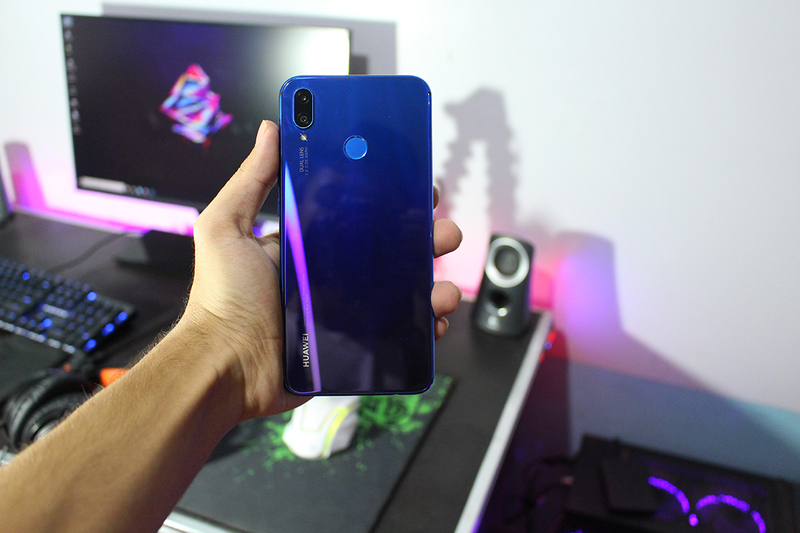 With the overwhelming response that Huawei’s first sales were able to get, this time around let’s put some light on their new budget offering, the Huawei Nova 3i. Let’s see how it stacks up against the competition. Let’s start with the physical overview, the build, and display, as this is the first thing that all of us see first before we even boot the device, isn’t it? 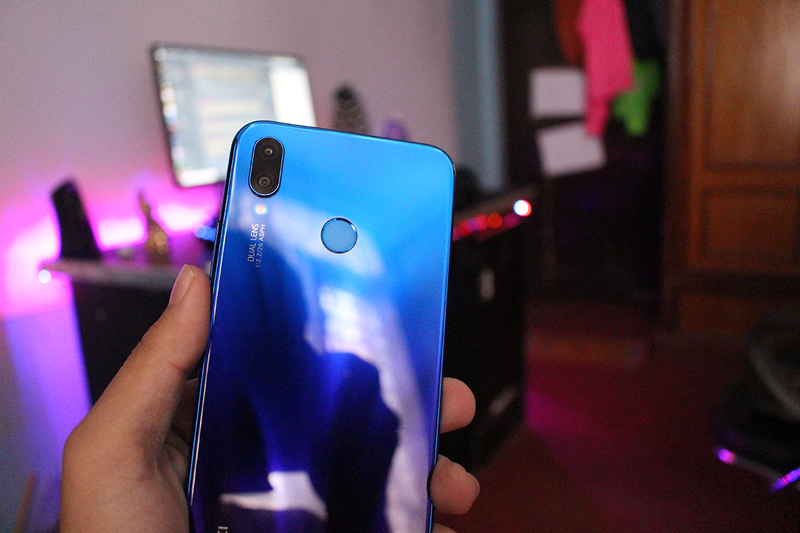 The Huawei Nova 3i has a glass sandwich design. The front glass boasts a 6.3-inch IPS display with a 19.5:9 aspect ratio and a notch that houses the dual front cameras, sensors, earpiece, and a notification LED. The notch is as practical as it can get, providing it a screen to body ratio of 82.4%, which translates to a larger screen real estate. The display is bright with accurate colors, it’s sharp and crisp with excellent viewing angles. The front and the back glass panels are held together in a place by the aluminum frame and contribute to a premium in hand feel. 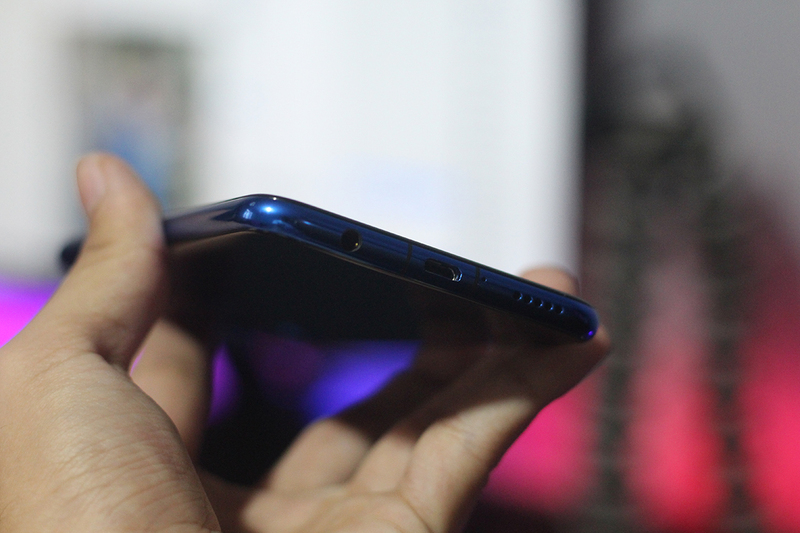 Just like with the premium Huawei Nova 3, the Nova 3i also has a 2.5D curved glass that adds to the elegance of the device with unique color options. The Irish Purple color on our review unit looks as beautiful and unique as it can get. To sum it up, all we can say this device doesn’t feel and look like a budget one. But the lack of any official glass protection is a bummer. The glass back, with all its glory, is a fingerprint magnet and gets smudged up quite easily, so more often than not, you will find yourself using it with a case. With some minor quirks, you can’t look away from the fact that this device actually looks pretty darn good. The volume rockers and the power buttons are placed on the right, the buttons are nice and tactile. The quad cameras add up to complement the looks of the device. The only downside that you’ll notice is the presence of a micro USB port for charging, which is not quite accepted in 2018. Don’t get embarrassed yet, because the happiness lies beside the charging port i.e. the 3.5mm headphone jack. Talking about software, we’ve got EMUI 8.2 running the show. EMUI 8.2 is Huawei’s custom skin built on top of Android 8.1 Oreo. The UI is intuitive and within our period of testing, it felt fast and snappy. EMUI brings along a whole lot of customizations and features like face unlock, dual apps, app lock etc. In case you don’t like the theme, there’s a theme store built in that lets you customize the device, the way you like it to be. None the less, the UI is fast and optimized, managing to carry out day to day tasks with ease. But we still prefer stock Android. With all of that out of the way, let’s talk cameras. This is the successor to the quad camera smartphone by Huawei in the mid-range segment; the Nova 2i. 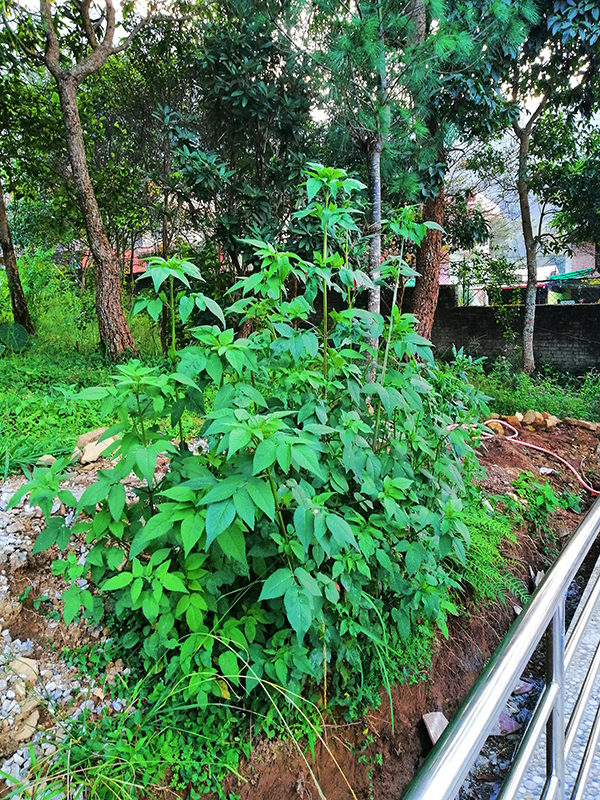 For the optics, the Huawei Nova 3i houses a dual camera setup; a 16MP primary camera with a f/2.2 aperture with a dedicated 2MP secondary depth sensor. Just like its elder sibling, the 3i packs in a 24MP front camera tagged along by a secondary 2MP depth sensor for those portrait selfie shots. EMUI and this very front camera are what makes the face unlock fast and snappy. The camera is powered by AI which makes this device a champ when it comes to scene detection. The portrait lighting feature works well. And on top of that, there is Qmoji, Huawei’s take on Animoji. 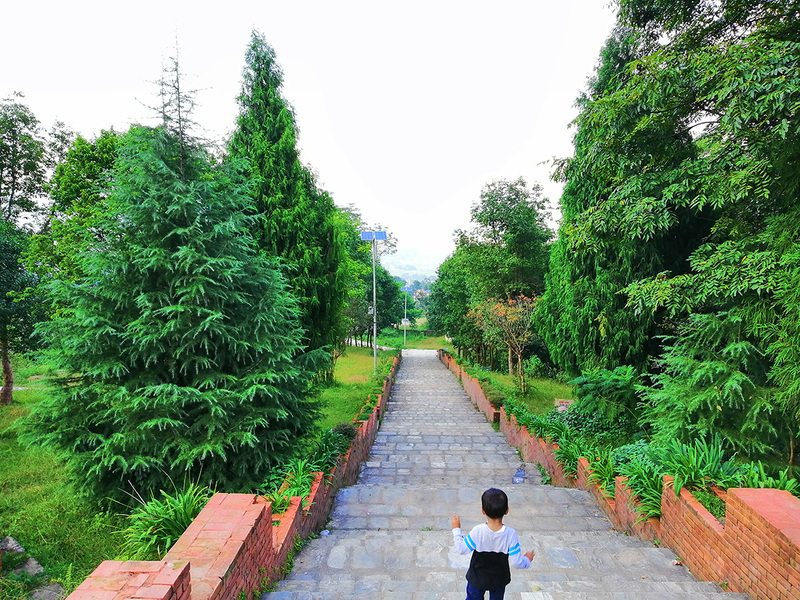 With the AI and the camera hardware this device pack, it has never failed to impress when it comes to pictures whether it be through the back cameras or the front cameras. Pictures turn out to be good and have an excellent level of details. AI here works well in some scenarios and in some, it just ruins the shot. The AI tends to over saturate a picture, more often than not. Don’t be bothered by this, as you can always tune the image down to the original image from the gallery itself. The only thing that’s somewhat bothersome to me is that the HDR mode is kept deep in the camera modes, whilst it is a toggle for the front camera. 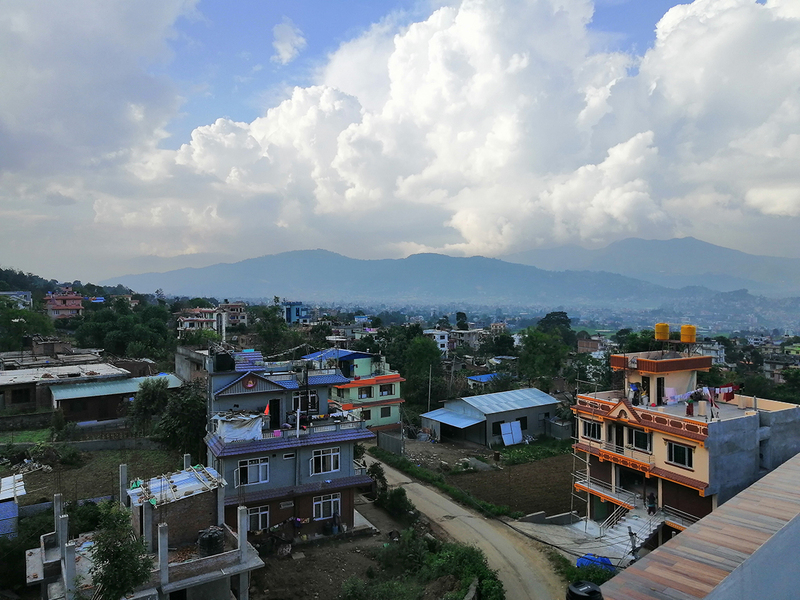 Talking about modes, there is a full-fledged pro mode packed within the inbuilt camera app and the best part is its ability to capture RAW images. For the photography nerds and enthusiasts, this one is going to be something to look forward to. The phone compensates the mediocre speaker with a 3.5mm headphone jack. This is the department where the Huawei Nova 3i suffers. The single bottom firing speaker on this one sounds tiny, and with the placement, it is easy to muffle up while watching multimedia contents and playing games. This sets back the device from being perfect for multimedia content consumption on this phablet-sized display device. However, to compensate that, the trusty good old 3.5mm headphone jack comes to the rescue. Just plug it in and you are good to go. The earphone that comes inside the box sounds decent but we suggest you get another pair to full enjoy audio on your Nova 3i. The fingerprint scanner at the back is fast and snappy. The security is a matter of concern to most of us who want to stay connected in this web-oriented world. 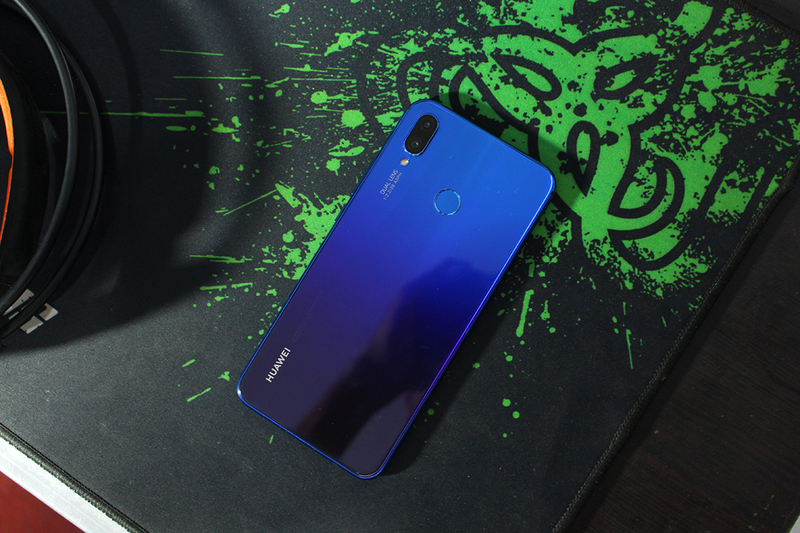 On the security front, the Nova 3i packs in a Face Unlock feature which is fast and accurate and never fails to recognize the face, but the area of concern is that how does the optical recognition fare when it comes to security? The answer is quite well. Within our period of testing, the optical recognition worked quite well and didn’t get fooled by images or anything of that sort. If this is still something you don’t find that trustworthy, you can always use the trusty biometric fingerprint scanner on the back of the device, which is fast and accurate either. Talking about the performance. Huawei’s own in-house chip, the Hisilicon Kirin 710 chipset powers the show. This is an octa-core chipset with four powerful Cortex A73 cores clocked at 2.2GHz each and four power-efficient Cortex A53 cores clocked at 2GHz each. The specs on paper translate to the performance as well, and the performance is top-notch at this price point. The Kirin 710 processor easily beats the Snapdragon 660 in terms of raw performance. 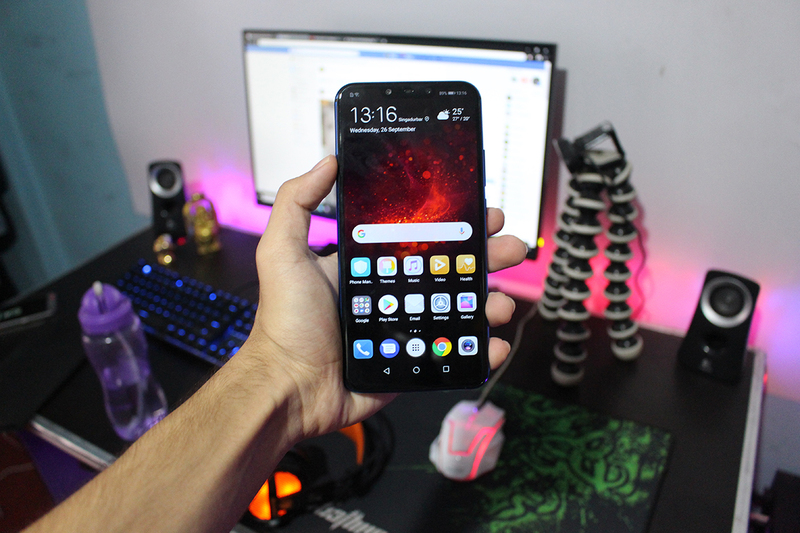 Opening up apps, running multiple apps in the background, heavy usage, and even gaming, this device manages to keep the performance on par most of the times. To say the least, the performance is quite good. Gaming is quite smooth on the phone, thanks to the GPU Turbo technology. Gaming duty and graphics are handled by the Mali-G51 MP4 GPU inside. Mali GPUs have been always contradictory to gaming, but not on this one. With the GPU Turbo technology on board, the gameplay is not an issue anymore on this new Huawei device. 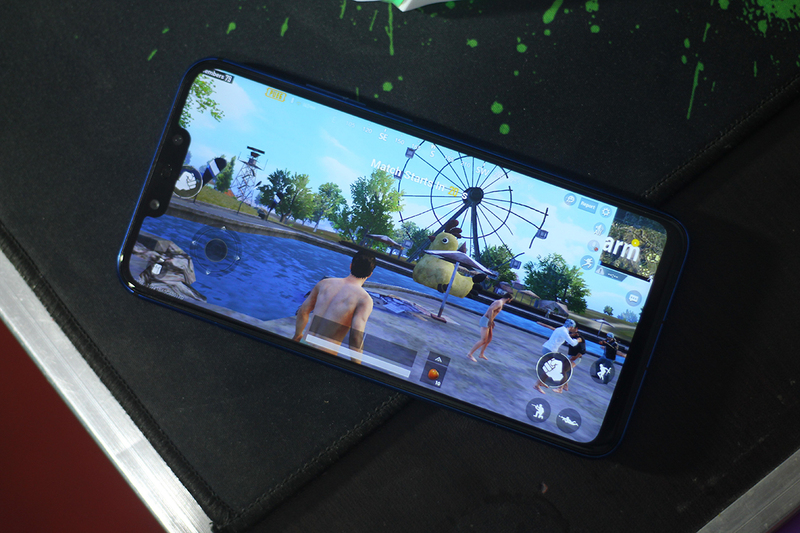 The device can play even extensive titles like PUBG, Asphalt 9, Shadow Fight, with minor or no major frame drops what so ever. But the device tends to heat up after 25-30 minutes of gameplay and it gets warm. Not uncomfortable but yeah it gets warm. However, this is a huge improvement over the previous generation and is a change much appreciated. The device runs on a 3,340mAh battery. The size might seem tiny at first but the battery life is actually great on this device and manages to last through an entire day of heavy use as well. Partly, this is because of the Kirin 710 chip underneath the hood, which is built on the 12nm Fin-FET process powerful and power efficient at the same time. My biggest complaint with this one is the lack of fast charging and this device takes more than two hours to charge. The 5 Volts 2 Amps or the 10Watt charger inside the box, doesn’t quite match the expectations. 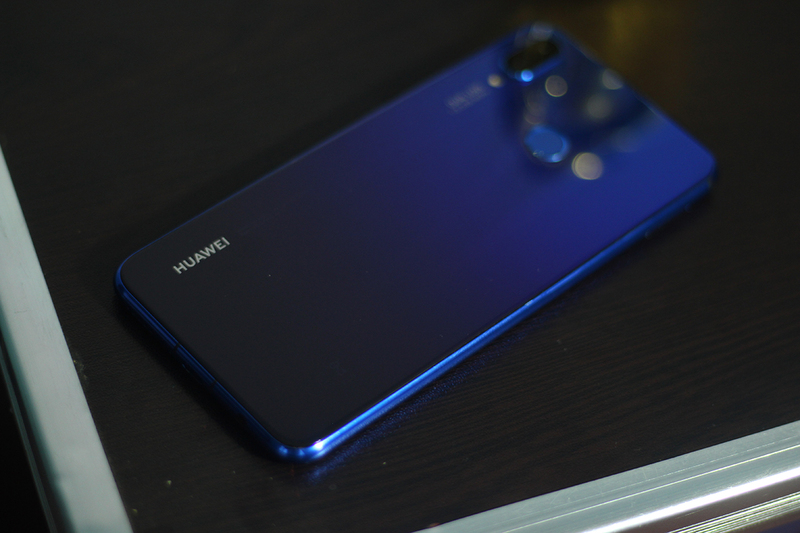 To wrap things up, the new Huawei Nova 3i is a well-rounded device. It looks impressive, the performance is on par, the quad camera setup is impressive, battery life is great. Yeah, it has few minor cons, but when you consider the price it is available for, there’s nothing you can complain about. So if you’re out for a smartphone that is a good all-around performer, you know what to choose.